G13 modified to look like a Hetzer on display at the Overloon War Museum in the Netherlands. Wooden mock-up of the Jagdpanzer 39(t) Hetzer with muzzle brake. Another G13 modified to look like a Hetzer on display at the HMG Wheels and Tracks exhibition, Vienna, 2010. The German army needed more flame-throwing tanks for their December 1944 winter offensive in Ardennes, Operation Watch on the Rhine and the Operation North Wind in Rhineland-Palatinate, Alsace and Lorraine. Twenty Jagdpanzer 38(t) tank hunter chassis were fitted with a 14 mm Flammenwerfer flamethrower gun, instead of its normal 7.5cm PaK 39 anti-tank gun. A tube was installed on the front of the flamethrower to make the vehicle look like the standard Jagdpanzer 38(t) in an effort to confuse the enemy. The standard command variant. Nothing really special except for a 30W FuG 8 radio set and extra whip antennas. It was still armed the same way as regular Hetzers, making it even more cramped inside. Jagdpanzer 38(t) of 8th SS Cavalry Division Florian Geyer, Hungary, 1944 – Credits: Bundesarchiv. A number of Bergepanzer 38(t) light armoured recovery vehicles were converted into anti-aircraft flakpanzers. They were fitted with a 30 mm Rheinmetall-Borsig MK 103 autocannon. The letters MK are an abbreviation for the word ‘Maschinenkanone’. In the background you can see a Bergepanzer 38(t) mit 30 mm MK 103 autocannon anti-aircraft gun with its gun raised. This weapon was originally designed to be mounted in German combat aircraft and intended to have a dual purpose as an anti-tank and air-to-air fighting weapon. This gun was also used on the five prototype Flakpanzer IV “Kugelblitz. If necessary the gun could also be used in a ground support roll against enemy troops and vehicles. Little known, however, were the Hetzers deployed in Northern Italy. Four companies operated 56 Hetzers there in 1945. At the same date, they reported only 37 operational Panzerjagers, while only 137 were still enlisted on the Western front. This was, noticeably, one of the highest operational percentage of all German tanks units. Later in the war, however, officer mismanagement of the Hetzer and poor training took their toll on units. Abandoned Hetzer inspected by US troops, Belgium, winter 1944-45. Generally speaking, the Hetzer was a good generic tank hunter. It was well armed and well protected from the front, presenting a small silhouette and narrow target. It could be concealed quite easily and was difficult to spot even after firing and, crucially, was also very reliable. However, it had shortcomings too, that were only partially compensated by its great availability. From 1944 and until the end of the war, it became the most current German tank hunter, not counting the heavier StuG III. In October 1944, Wa Prüf 1’s report on penetration values showed that it could be defeated by the Cromwell’s and Churchill’s 75 mm (2.95 in) gun from up to 2500 to 3600 m (1.5-2 mi) from the sides and rear. However, it could be penetrated by the late M4 76(W) Sherman’s M1A1 gun from 800 m (880 yd) from the front and from closer than 100 m (110 yd) through the cast mantlet. But it could defeat most versions of the M4, Cromwell and Churchill at any angle from as much as 1,700-1,800 m (1900-2000 yd). The Hetzer was also slow and completely blind from the right side, which was a liability in urban combat. Many were captured this way and it was never really corrected. Hetzer stuck at a barricade, Warsaw Uprising, August 1944. When the Red Army liberated Czechoslovakia they conducted a stock take of what was in production at the Škoda factories at the time they came under ‘new management’. A report was filed on the possibility of completing the vehicles found at Škoda factories. The auditor found 1,200 unfinished Jagdpanzer 38(t) tank-destroyers “G-13” chassis. It was worked out that 150 of them could be finished from the parts available. The remaining 1,050 vehicles were 45%-60% percent completed and had only 78 main guns available between them. This report showed that production of the Hetzer chassis was outstripping the manufacturing capacity to build the main gun in sufficient quantities. After the war, Switzerland obtained from Czechoslovakia no less than 158 post-war built Praga ST-II/III, and, after extensive modifications, they were renamed G13. Differences included the muzzle brake fitted on the main gun, loader and commander positions swapped, rotating MG optics (commander’s cupola) and external MG mount on the rear deck. About two thirds received a Swiss Saurer diesel engine in 1952-53 and the vehicles were maintained in service until 1970. After being phased out, most were purchased by museums and private collectors, mostly converted/painted back as German Jagdpanzer 38(t) Hetzers. At least four are in running conditions today. The Czech Jagdpanzer 38(t) Hetzers (several dozens were captured in and around Budapest in 1945) were designated ST-1, for Stihac Tanku or “Tank Hunter”. 249 were pressed into service. 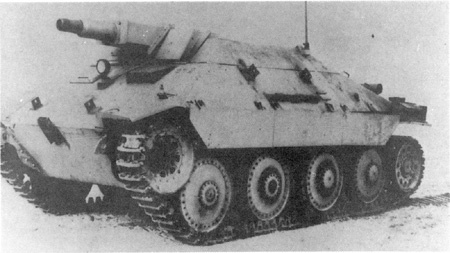 There was also a school driver version designated ST-III/CVP (50 vehicles), the Praga VT-III armored recovery vehicle and the PM-1 flamethrower tank. 50 existing Hetzers were to be modified with a flame thrower turret, but the program was cancelled. Jagdpanzer 38(t), the first command model built with Fgst.nr.321001 radio. Jagdpanzer 38(t) “Chwat” (Daredevil) captured by Polish insurgents. An early production tank, Warsaw, August 1944. Hungarian early type Jagdpanzer 38(t), 1944. Early type Jagdpanzer 38(t) “Black 233”, western front, one of the earliest captured by the Allies. Hungarian Jagdpanzer 38(t), winter 1944-45. Unknown unit, Bohemia, spring 1945. Jagdpanzer 38(t) of the 11th SS Panzerdivision “Nordland”, winter 1944-45. Jagdpanzer 38(t) with the spotted ambush camouflage, Germany, April-May 1945. Hungarian Jagdpanzer 38(t) “Mokus” tank destroyer, Lake Balaton battle, 1945. Hetzer captured by the Russian army, Czechoslovakia, 1945. Hetzer captured by Czech insurgents, Prague, May 1945. Bulgarian Jagdpanzer 38(t), March 1945. Befehlspanzerjäger 38(t), 741st Antitank Battalion, Eastern Front, 1944. Flammpanzer 38(t), 352nd Panzer-Flamm-Kompanie, Army Group G, Belgium, December 1944. Jagdpanzer 38(t) Starr (1945). Being rather disappointing, the six built of this much simplified versions were converted back as regular Hetzers. Panzerjäger 38(t) mit 75 mm L/70. Swiss G13 in 1960, notice the spare roadwheel should be on the other side. For identification only. Another, more common type of Aufklärungspanzer mit 7,5 cm KwK-37 L/23. Rare Jagdpanzer 38(t) mit 7,5 cm KwK-37 L/23, Battle of the Bulge, winter 1944-1945. Was it called the ‘Hetzer’ during WW2? A point of some dispute concerning this vehicle, is its very name. At the time of the vehicles birth and early production, the name Hetzer (Baiter/Pursuer) was not officially applied. It was, however, applied to the E-10. Part of the envisaged Entwicklung series of tanks, the E-10 was the Jagdpanzer’s intended successor. It is believed that papers were mixed up at the Škoda factory, thus meaning the first vehicles to roll off the production line were incorrectly identified until the mistake was rectified. The first use of the name Hetzer was in a letter from Heinz Guderian to Hitler. He stated here that the name had spontaneously arisen from the crews manning the vehicles. This is what most historians base their naming on in their works, and state that the vehicle was never identified as such in official German Military documents. This is NOT true. Look at this wartime report dated April 1945 the word Hetzer is used. To summarise, the Jagdpanzer 38(t) was not officially called the Hetzer during WW2. It is believed that the crews used this nickname for this anti-tank self-propelled gun during the war. 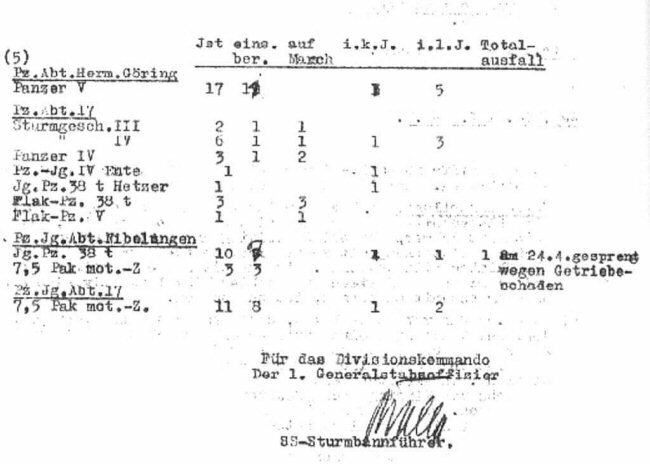 Although most official wartime documents do not use the word Hetzer, as can be seen in the above document a few did. Did the Jagdpanzer 38(t) Hetzer have a muzzle brake? The answer is yes, no, then yes. A muzzle brake is designed to increase the life expectancy of a gun barrel by direction some of the explosive force of the shell gasses side ways rather than just forward. The wooden mock up of the prototype was fitted with a muzzle brake. 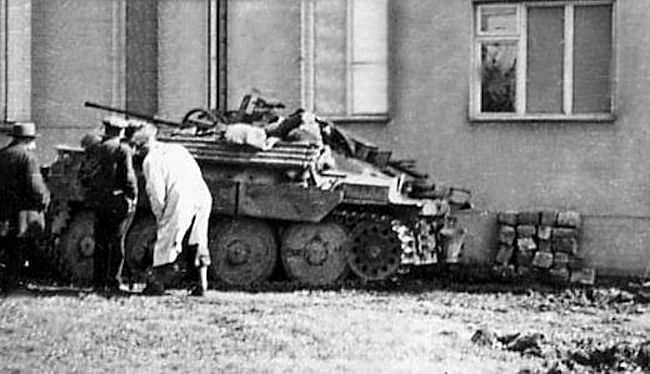 The early production Jagdpanzer 38(t) Hetzer’s were fitted with a muzzle brake but these were removed by crews and later production vehicles did not have them fitted. It was found they produced too much dust and smoke which gave away their ambush position. This was often fatal. The post war Swiss G-13 version had a muzzle brake fitted. Early production Jagdpanzer 38(t) Hetzer with muzzle brake. G-13 – It is just the internal manufacturer’s code name for the Jagdpanzer 38(t) in the Skoda Factory. A WW2 wartime Skoda Jagdpanzer 38(t) Hetzer was called a G-13 in the factory and on all internal documentation. G = tank destroyer, 1 = light, 3 = model i.e number 3. Postwar – the 75 mm PaK 40 with a muzzel brake was used instead of the 75mm PaK 39 on Jagdpanzer 38 (t). The Skoda Factory did not have access to PaK 39 guns and used the PaK 40. In the Swiss Army this tank destroyer was known by the factory code G-13 rather than the Jagdpanzer 38(t) or Hetzer name. A ST-I tank destroyer, practically a Czech post-war production Hetzer, in running condition at an exhibition at Lešany, Czech Republic. Swiss G13, Steel Parade, 2006. The G13 was kept in service right into the 1970s. 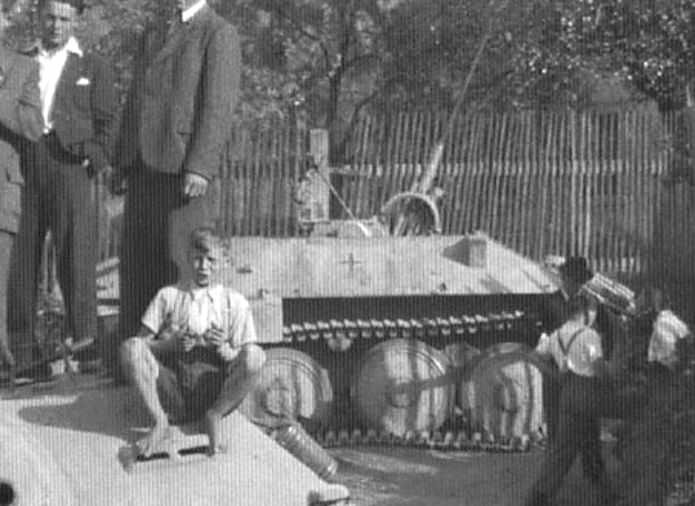 A correction: the Hetzer captured by Home Army during the Warsaw Uprising was named “Chwat”. I don’t know where the “Schwak” came from – there is no such word in Polish language. It was not really “reused”. Greatly damaged by fire (it was disabled by Molotov cocktails) it was for a time a stationary element of a baricade. Later resotred, but parked away (getting it into action would require dismantlement of too many barricades) it was eventually forgotten about. It never entered action against the Germans. The Schwak think was a mistake, you can see that the illustration has the right name on it. It was corrected, and also clarified that sentence about it. Thank you for noticing this and notifying us, we have fixed it! A few corrections: 1) a vehicle marked as “Czech Hetzer, May 1945.” is Hetzer in service of the Russian Liberation Army (Russian: Русская освободительная армия, Russkaya osvoboditel’naya armiya, abbreviated in Cyrillic as РОА). 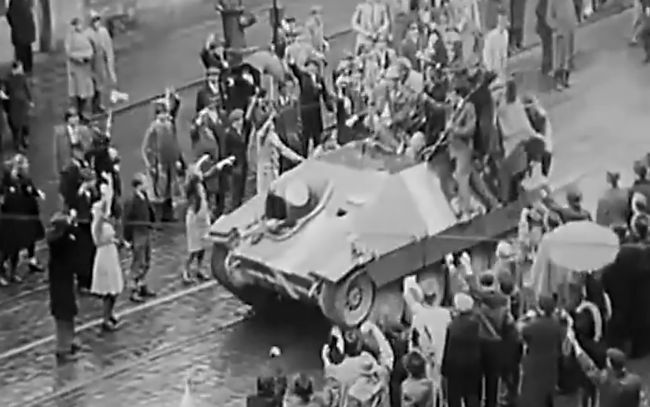 2) vehicle marked as “Hetzer captured by Slovakian insurgents, Prague, May 1945.” is Hetzer in service of Czech insurgents during the Prague Uprising. The first Czechoslovak Republic (1918 – 1939) was broken by Nazi Germany and two different parts were created: Protectorate of Bohemia and Moravia and the Slovak Republic. So that no Slovaks but Czechs fought against Germans in 1945 in Prague. Thank you for these observations ! Hello Angelos. That is not red oxide paint, it seems like another color. I’ll ask the illustrator for a reference for that. 7.5 cm Stu.Kan. auf Pz.Kpfw. 38 (t) I’m curious why this model is listed as not produced ? I added the reference, however it should be on the Pz38(t) instead, with a note on the future Marder III article. The Swiss G13, has the spare road wheel on the wrong side of the fighting compartment. It was presented that way as a convention, but should be inverted. A notice was added, thanks for the observation. SchWAK was a gun for russian airforce in ca 12,5 or 20,0 with start in 1932. Lovely vehicle. Would qualify for cutest tank of the War—if the interior wasn’t so CRAMPED!!! Crews had to quite literally shoehorn themselves into the thing! Compact cars? How about a compact tank!? (yes, I know it’s a tank destroyer. Don’t nitpick. It’s funny. I hope.) It’s about the size of your average small car, with five guys, a 75mm gun and 40 or so shells crammed inside a space about as big as a closet. Tiny. The Volkettenaufklaurer 38t APC has a very modern look to it. How many troops could it carry? In the design paragraph do you mean upgraded instead of uprated? Or updated? May I know whether there are any hetzers attached to Wehrmacht units instead of SS? If there is please name me some. 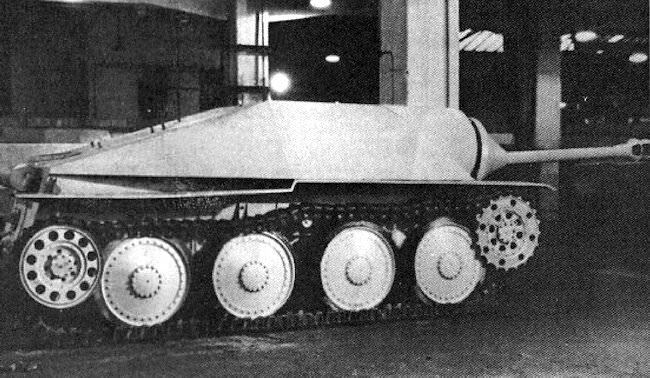 For the Vollkettenaufklärer 38(t) prototype. you state that it would have been the first fully closed APC, though I can’t find anything that supports this.. What’s the source for this? I am quite confident that we are mistaken. Paragraph removed. We will look more into it. This is an image of the ‘Rare Jagdpanzer 38(t) mit 7,5 cm KwK-37 L/23’… It isn’t really verified but I thought you may like to use it. Thank you for this link! Really interesting to see this, it looks authentic. 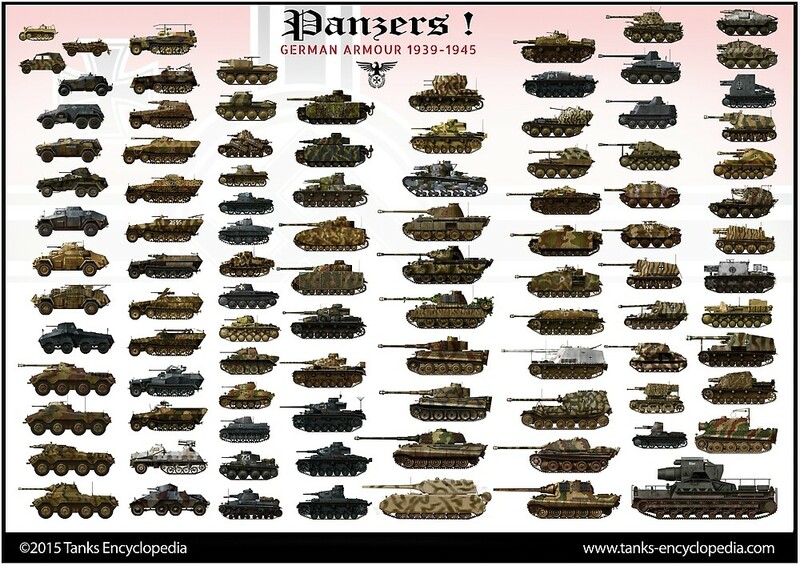 How is it that every German AFV of the war used a right-side loader, and the 38(t) Panzerjaeger (?) is said to use the same gun, yet you say it has the loader on the other side? Why would they switch, and how could they switch without changing the breech, breech controls, breech guard, shell catcher, etc? 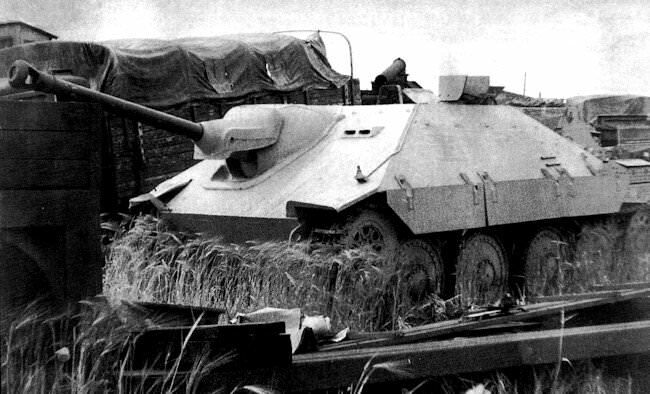 That would at least be a different model of Pak 39, even if it was still called a Pak 39. And why bother with the production difficulty if it would work as well or better to just retain the right-side loader as usual? I’ve seen photos that seem to show a normal right-side loader, but I see you say that they changed back to right-hand loader in the later Swiss versions, which is probably what I saw. Are we positive they didn’t just all use right-hand loaders? Seems far more logical, and that’s standard practice on every single other German AFV in the war. What is the point of going through all the hassle of changing the gun just to change the side the loader sits on when the whole point is to take a cheap, available chassis and put a gun on it with minimal alterations and expense, as fast as you can? Hello,im currently trying to make a fully working “Jagdpanzer 38 (t) Hetzer. And then i would want to know how much space was it for the engine and the transmission. 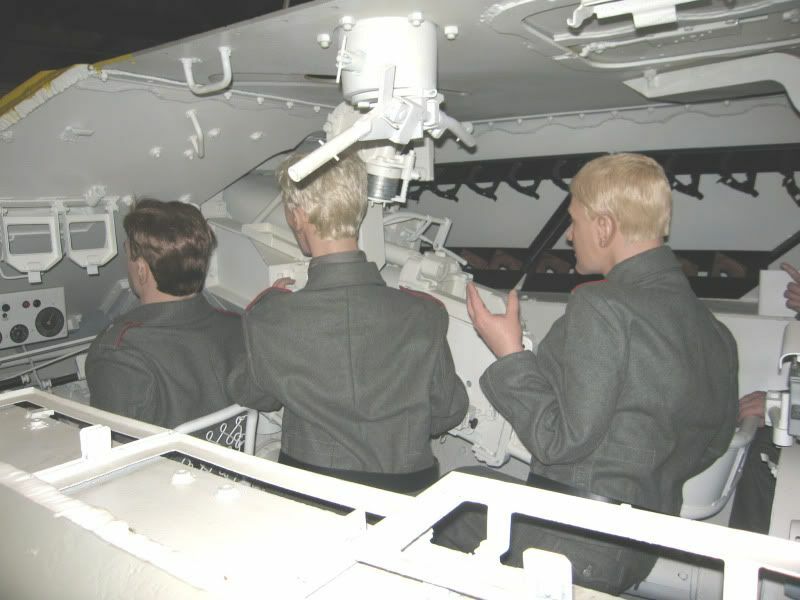 Hello Viktor, for that, a member of the team would need to be granted to access the interior of a preserved Hetzer. Could happen some day as we frequently visit tanks museums.